Children welcome, disabled access, dogs accepted, guided tours for groups, smoking allowed. Wedding receptions. 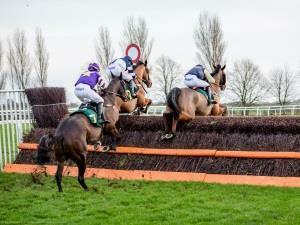 National Hunt horse racing. Save time and money and book your tickets online. Online prices: Course enclosure is £10.00, Grandstand & Paddock £15.00, Day Members are £20.00. On the day prices: Course Enclosure £10.00, Grandstand & Paddock £18.00, Day Members are £23.00. There is ample free parking available. Should you like to park in Members car par, there is a fee of £8.00 payable on the day. Some race meetings have an Early Bird ticket sale on – you can find all information on the website. Please note that all children aged 17 and under comes FREE with a paying adult. From A1065. Site adjoins sports centre, 1 mile south of Fakenham off A1065. From Norwich - 20 miles.